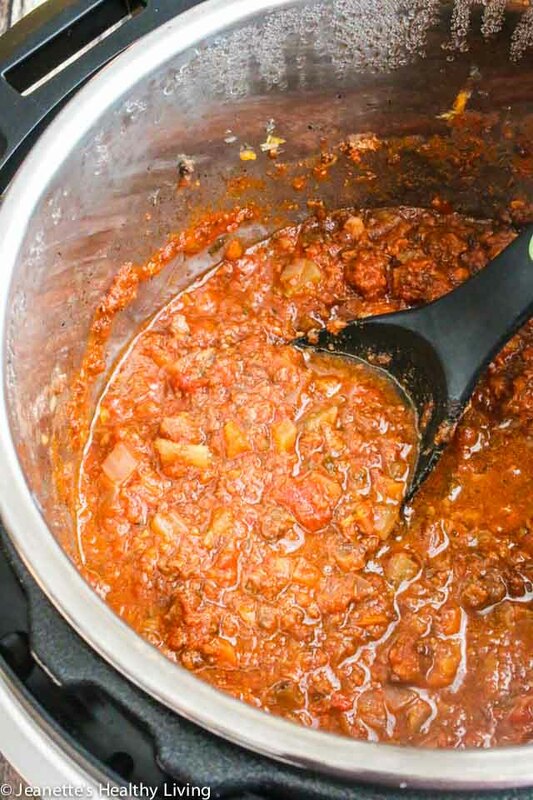 Instant Pot Turkey Bolognese Sauce cooks in just 20 minutes. My husband loves bolognese sauce, so I make it often. This Instant Pot Turkey Bolognese Sauce is a lighter, healthier version of traditional bolognese. 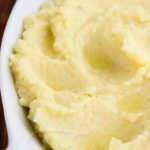 I make this sauce when I’m short on time and want to make a meal I know my entire family will enjoy. The sauce freezes well too, so make a double batch and freeze in quart size containers for days when you don’t have time to cook. 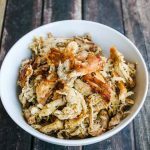 This recipe is Paleo and Whole 30 friendly. 244 calories/5 freestyle points per serving. 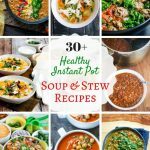 I’ve been converting my most popular slow cooker recipes to pressure cooker recipes that can be made in the Instant Pot. To make this recipe even faster to make, I used the food processor to chop all the vegetables (the pulse function does a good job). Another time saver is the Instant Pot’s sauté function, which allows you to sauté the vegetables and brown the turkey meat right in the Instant Pot. 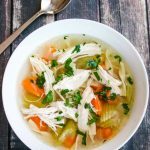 This recipe is Paleo and Whole 30 adaptable (simply swap chicken or beef broth for red wine in the recipe). Umami rich mushrooms add bulk and meaty flavor without the calories and fat, and ground turkey stands in for traditional beef/veal/pork, which lighten up this bolognese sauce. 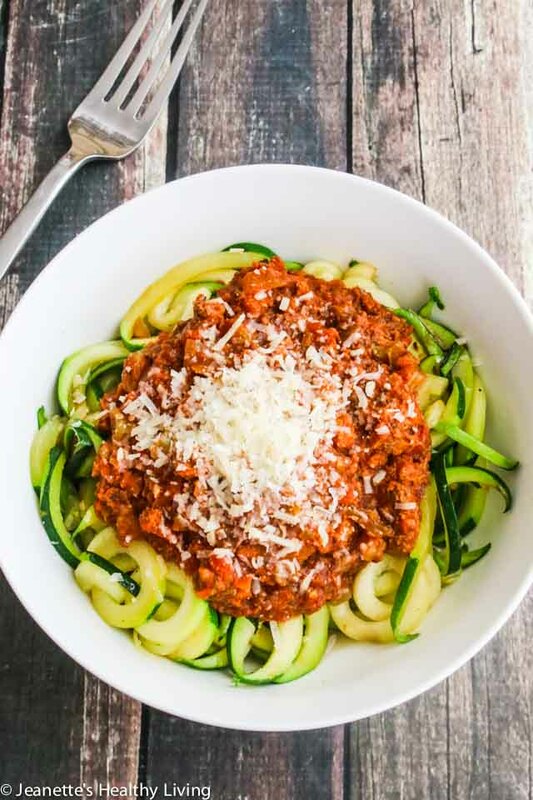 Serve this Instant Pot Turkey Bolognese Sauce over lightly cooked zucchini noodles or baked spaghetti squash for a healthy, light option. Fresh grated parmesan cheese is optional (leave out or use nutritional yeast for Paleo, Whole 30). 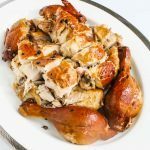 Click here to watch me demonstrate this easy recipe on Channel 12 Connecticut Chef’s Quick Tip segment. Place carrots in food processor and pulse until finely chopped; remove to a bowl. Pulse onion and garlic together until finely chopped, and remove to bowl with carrots. Pulse celery until finely chopped and remove to bowl with other vegetables. Pulse mushrooms until finely chopped and remove to bowl with other vegetables. Select "Saute" setting on Instant Pot and heat oil. Add chopped carrots, celery, onions, mushrooms and garlic. Saute until onions are translucent, about 4-5 minutes. Add ground turkey and cook until meat is no longer pink, breaking up pieces with spatula. Add red wine and reduce a few minutes. Add crushed tomatoes, thyme and bay leaf. Season with salt and pepper to taste. 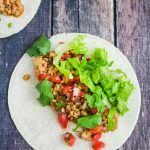 Cover and seal Instant Pot. Cook on high pressure for 20 minutes. Naturally release pressure fo 10 minutes, then quick release remaining pressure. Add basil sprig and stir to let basil scent sauce. Using the pulse function on the food processor is a huge time saver in meal prep. Have never thought of using IP to make pasta sauce…love the idea and how delicious it turned out! 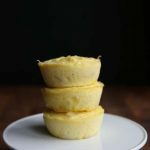 The IP is great for making anything that you might slow cook, so I’ve been recreating some of my slow cooker recipes for the pressure cooker function. This looks delicious. I love your time-saving tips. I really must start using my food processor to chop the veggies. Such a great idea. I’m always short on time mid-week so every little tip helps. This looks so healthy and yummy. I know my kids are going to love this too. Thanks! The food processor makes meal prep so much faster in this recipe. I just finished putting it all together and it’s in the IP right now! 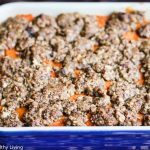 I realized that I didn’t add the tomato paste – I dont see that part in the steps…. will it still be okay if I didnt add it? You actually don’t need the tomato paste – I took it out of the recipe. Hope you enjoy! This looks so beautiful, thanks for the recipe. Delicious ! Best pasta sauce ever. I love herbs and added about a tsp of Penzys Foxpoint blend and. A bit more thyme and garlic/herb seasoning. Tossed in a small Parmesan cheese rind I found in a fridge drawer. Couldn’t believe such depth of flavor in 20 minutes. We literally licked our plates. 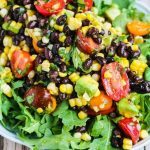 Thanks for such a great healthful recipe. 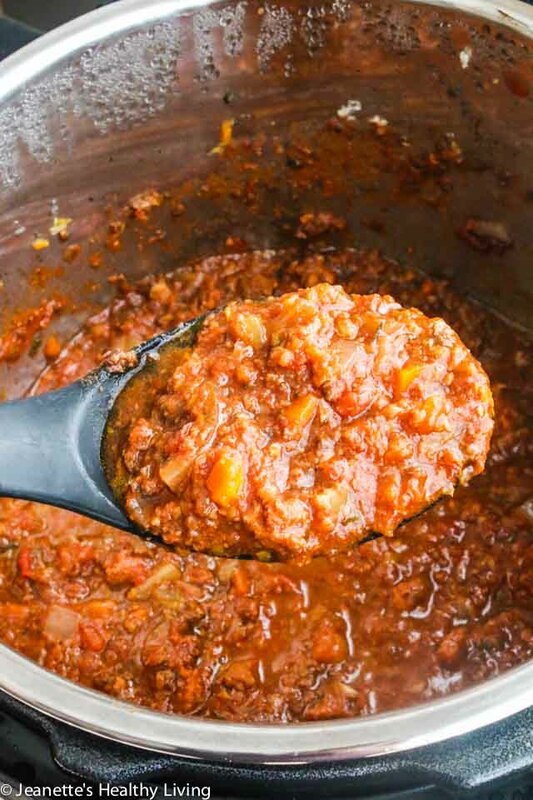 Hi Cheryl – so glad you enjoyed this bolognese sauce recipe – it’s my go-to dish for busy weeknights! 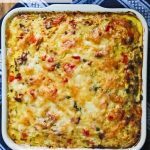 Love the addition of garlic herb seasoning and Parmesan cheese rind for extra flavor – thank so much for trying this recipe and sharing your adjustments and feedback.